1978: Un soir, il assiste à la dernière de Ingrid Caven au Pigall’s. C’est pour lui la révélation. Jean Guidoni: “Pour la première fois j’ai compris que l’on pouvait tout dire en chansons”. 1978: one evening, he is witnessing ingrid caven au pigall’s. it is his revelation. 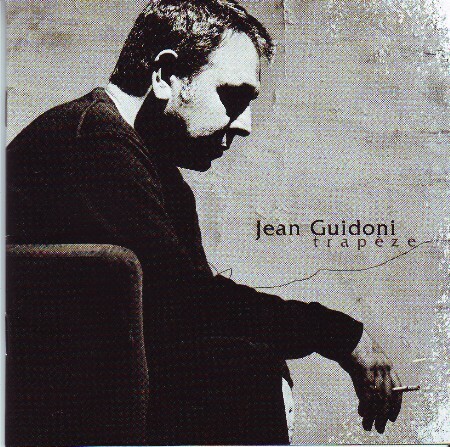 jean guidoni: “for the first time i understood that everything can be said in songs”. months later i was researching exactly this: queer music (or even more difficult: gay and lesbian sounds that relate directly to my experiences without me having to make the translation, having to read sub-texts – one day i might expand on this topic) in different european countries i came across jean guidoni. and was wondering why nobody ever told me about him. so i ordered from the available cd’s one of the more recent ones- well, the one with the nicest cover. and – he gave me hope again for the french chanson. of course rooted in the tradition of it (the various traditions, to be more precise) there is an easy musical and lyrical openness to it that makes it very fresh and exciting. multi-layered, deep but also pop, going into many directions withouth loosing itself. a pleasure. he is one of the artists that show that this tradition of the song can be still relevant. i am mainly talking about 2 of his more recent records (i am still looking for the older work on vinyl). and i always think of them as a pair – the darker trapèze (yes, the one with the nicer cover) and the musically not that different, but by mood far more upbeat la pointe rouge. and yes, like ingrid caven he is updating, better: adapting a tradition in his unique way, not insulting the listener by not saying what also should be said in song.